Cathy Stovall is a unique person. She designs playgowns for little girls. Her business is making something that brings joy to little girls. Some of them need to feel that someone else is in their "Village" (of the world).Someone that loves them and shows it in a very special way. Someone that can make them a 'Twirligirli" too !! An old African proverb- "It takes a village to raise a child"
Please check out the good works she does in her business. I met her at my church. She has always been supportive of my dream to help my Brothers and Sisters in Africa. 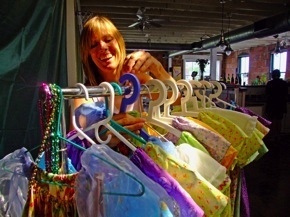 She is donating gowns to the HYBASIA ANGELS in Cape Coast, Ghana. Won't you help her in her efforts. Just fill out the form on her website and let her know that you want her beautiful gowns to go to the HYBASIA ANGELS in Cape Coast, Ghana. Read more about her on her website. Cathy has a history of helping girls in Africa smile. These Twirligirli girls were blessed to be chosen to receive her gowns. They live in an orphanage in Kenya. "Happy Homes Orphanage in Kenya, Africa". HYBASIA INC has made a small donation to a very worthy project. Please check out this website and consider giving any amount you can. It is a wonderful cause. Below is just an introduction that was cut and paste from their website. Please go to their site to read it in it's entirety. The health of the people of Somaliland is among the worst in Africa, with one of the highest Maternal and Infant Mortality rates in the world. Every year, one baby in eight dies in infancy while nearly 4000 Somali women die in childbirth. This tragedy can be attributed in large part to the long civil war which brought about the death or departure of nearly all of the country’s trained health care professionals. 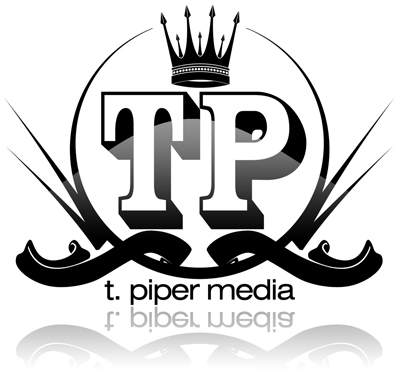 T. Piper Media is a creative agency that specializes in graphic design, entertainment marketing & promotions, creative community outreach and resource management. For more information: contact me at the address on the left. Copyright 2009 HYBASIA Inc. All rights reserved.